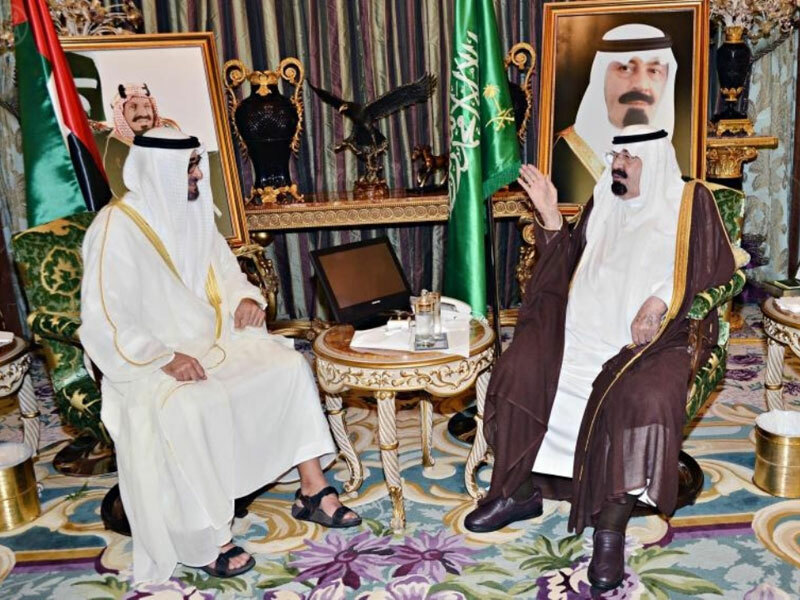 Abu Dhabi Crown Prince Sheikh Mohammed bin Zayed al-Nahyan met with Saudi King Abdullah bin Abdulaziz in Saudi Arabia on Saturday, and discussed ways to end the Gaza conflict as well as wider regional developments, the state-run Saudi Press Agency (SPA) reported. After leaving Saudi Arabia on the same day, Sheikh Mohammad bin Zayed, who is also Deputy Commander-in-Chief of the UAE Armed Forces, was seen off at Jeddah’s King Abdulaziz International Airport by Prince Miteb bin Abdullah bin Abdulaziz, Saudi Arabia’s Chief of the National Guard. Meanwhile, seven Palestinians have been killed in an Israeli attack on a United Nations school in Gaza, witnesses and medics told Reuters on Sunday. Hundreds of Palestinians in the area, where the Israeli military said it has been battling Hamas fighters, had been sheltering in the school. This comes after an Israeli Army spokesperson said Sunday some troops had begun withdrawing as operations against Hamas continue. “We are removing some forces, we are changing from within,” Lieutenant Colonel Peter Lerner said, saying it as “an ongoing mission”. “We are redeploying within the Gaza Strip and taking out other different positions, and relieving other forces from within, so it won't be the same type of ground operation,” he told AFP. “But indeed we will continue to operate ... and have a rapid reaction force on the ground that can engage Hamas if required,” he added. Witnesses in the north confirmed seeing troops leaving the area as others were seen pulling out of villages east of Khan Yunis in the south. It was the first time troops had been seen pulling back since the start of the Israeli operation in Gaza. Meanwhile, an Israeli soldier who went missing in action during fighting in the Gaza Strip Friday has been announced dead by the Israeli army, AFP reported Sunday. A committee led by the Israeli Army’s Chief Rabbi announced Lieutenant Hadar Goldin’s death during a battle in Gaza. An Army spokesperson refused to confirm or deny reports that the soldier’s remains had been found. Israel had previously suggested that 23-year-old Goldin had been captured by Hamas fighters in Gaza. Close to 1,700 Palestinians, mostly civilians, have been killed and some 9,000 have been injured since the start of the Israeli operation which began on July 8. The number of Israeli military fatalities now stands at 63.